While in New York, take a trip the City of Brotherly Love and the nation’s capital on this 2-day tour through Philadelphia, Washington DC and Amish country. Explore these two significant American cities aboard a luxury, air-conditioned coach or van. Visit sites including the Liberty Bell, Constitution Hall, Capitol Hill, the Air and Space Museum and more! On your way back to New York, stop in Amish country and see what it would be like to live without today’s modern technology. On this multi-day tour from New York, explore two of America’s historically significant cities, Philadelphia and Washington DC, and get an exclusive look at a unique culture in Amish country. Depart New York City and head south through New Jersey to the City of Brotherly Love – Philadelphia. Drive along Benjamin Franklin Parkway and Elfert Alley (one of the oldest inhabited streets in America). Disembark the coach or van in Philadelphia’s historical district and see the Liberty Bell, the Constitution Hall, Constitution Square and other historically significant sites. modern technology, no electricity, running water, telephone service, or appliances. After the ride you will visit the Amish marketplace where we can shop for handmade arts crafts and products. In the late afternoon you will depart east for an evening arrival in Washington DC and an overnight stay at the Holiday Inn Express & Suites, Washington DC. On Day 2, start the day with a visit to Thomas Jefferson Memorial, by the Tidal Basin, surrounded with famous Japanese cherry blossom trees. Visit Arlington National Cemetery the changing of the guards and the Kennedy family gravesite. Your visit continues to Capitol Hill. 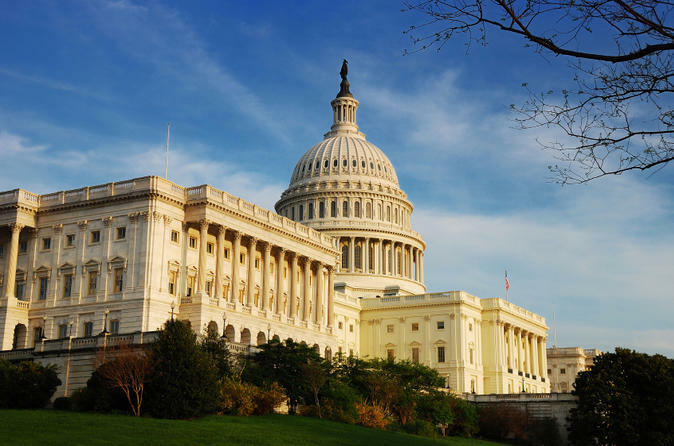 See the Capitol, Senate and White House to understand the core of the US government. Continue to the Air and Space Museum before visiting the Lincoln, Washington, Korea and Vietnam Memorials.